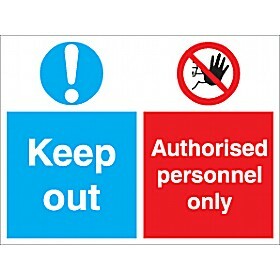 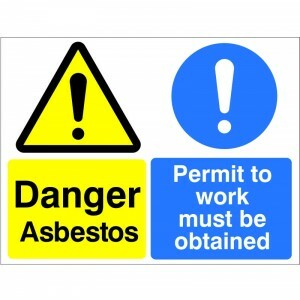 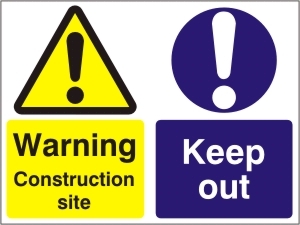 Authorised Personnel Only Keep Out - Health and Safety Sign (MUL.52) - Super-high quality health and safety signs for ultra-low prices with Safety Services Direct! 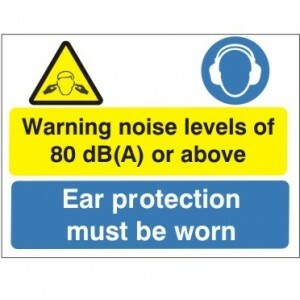 Just £6.39! 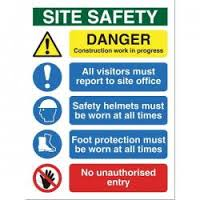 Construction Site Safety Sign - Health and Safety Sign (LF.05) BEST VALUE! 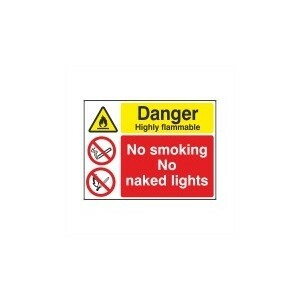 Danger Confined Space - Health and Safety Sign (MUL.81) - We stock one of the best varieties of health and safety signs online, at exceptionally low prices! 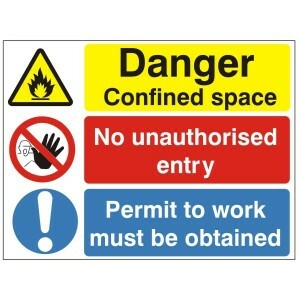 Danger Confined Space Keep Locked - Health and Safety Sign (MUL.85) - Amazingly discounted prices for top-class quality health and safety signs from Safety Services Direct! 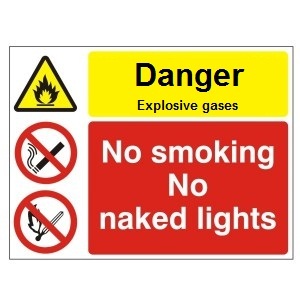 Danger Explosive Gas No Smoking No Naked Lights - Health and Safety Sign (MUL.63) - If your looking for the best range of health and safety signs for exceptionally bargain prices, Safety Services Direct is the place to be! Danger Flammable Vapour No Smoking No Naked Lights - Health and Safety Sign (MUL.64) - Just £3.47! 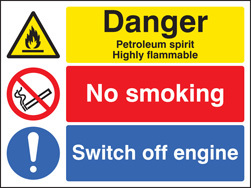 For all your health and safety sign needs, come to Safety Services Direct and order your signs TODAY! 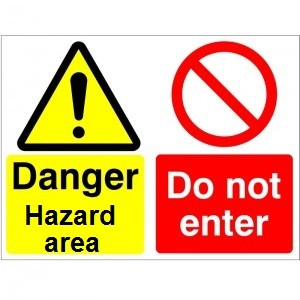 Danger Hazard Area Do Not Enter - Health and Safety Sign (MUL.86) - Incredibly long lasting, clear and concise health and safety signs from Safety Services Direct! 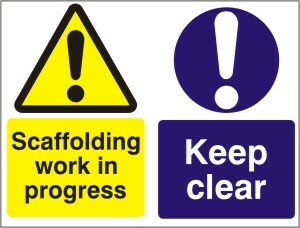 Just £3.47! Danger Petroleum Spirit Highly Flammable - Health and Safety Sign (MUL.65) - This sign is only £3.47! 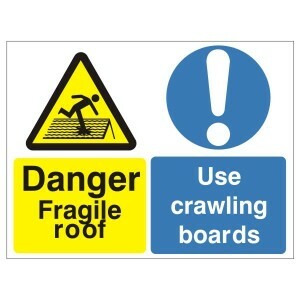 Totally durable and top quality signs. 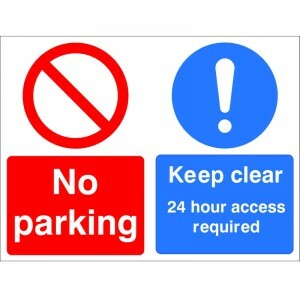 No Parking Keep Clear 24 Hour Access Required - Health and Safety Sign (MUL.51) - Order your class-leading health and safety signs from Safety Services Direct NOW! 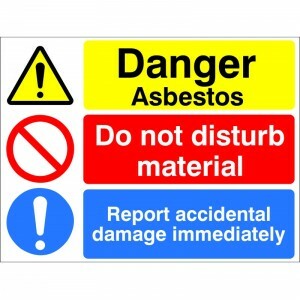 Just £3.47! 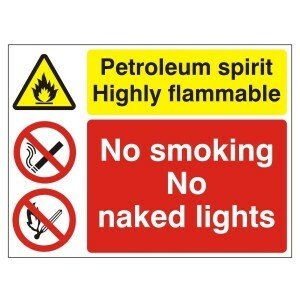 Petroleum Spirit Highly Flammable No Smoking No Naked Lights - Health and Safety Sign (MUL.02) - Immensely LOW prices for the highest quality health and safety signs from Safety Services Direct! 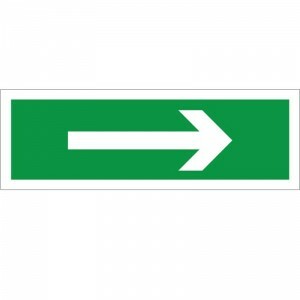 Right Arrow - Red - Fire Safety Health and Safety Sign (FEX.23) - Heavily discounted prices for all your sign needs, from Safety Services Direct! Just £1.95! 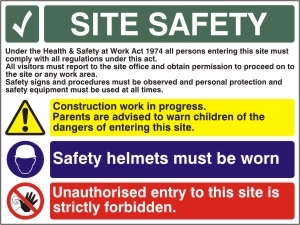 Site Safety Heavy Plant And Machinery On This Site - Health and Safety Sign (LF.06) - Offering amazingly high value for money signs by Safety Services Direct! 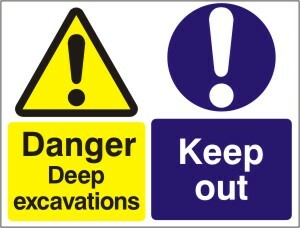 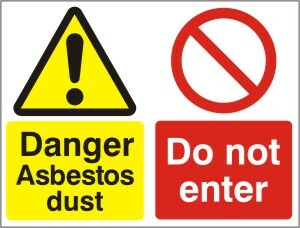 Just £22 for this long lasting, durable health and safety sign! 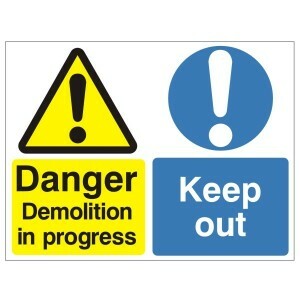 Warning Demolition In Progress Keep Out - Health and Safety Sign (MUL.08) - At a minuscule £6.39, Safety Services Direct offer bargain prices on a huge range of health and safety signs!! 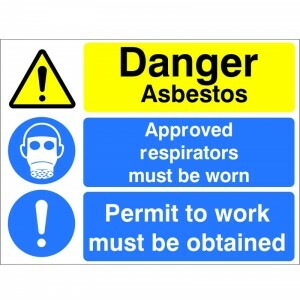 Please find below a selection of our best selling and most popular Multi-Purpose Health and Safety Signs which can be used to communicate multiple messages on the one sign.